As you can probably tell, Amanda and I have worked pretty hard to build a solid following for Lifestyle Lookbook, which has made us lucky enough to be given opportunities to collaborate and partner up with some amazing artists, brands, and creatives all over the world. The beauty of running your own blog is that you can post pretty much whatever you like. Like this picture of my dog. Oh, er...sorry, Amanda - hope you don't mind! 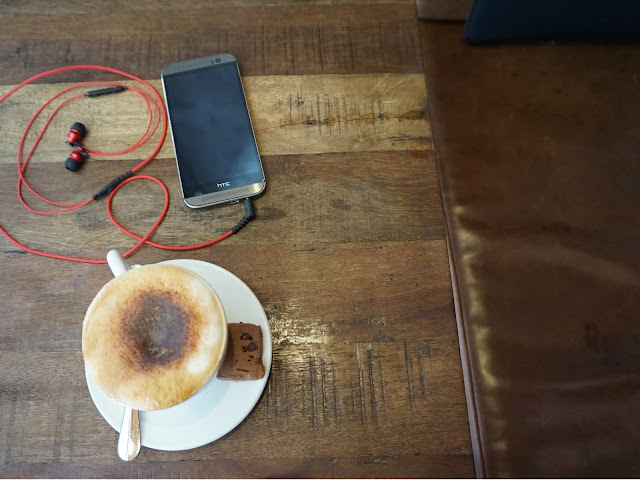 We were pleased to be given the chance to trial and review the Brainwavz Audio Delta earphones, which I have been using with my Android HTC phone. The earphones come with a microphone and music player control piece attached to them so you can skip tracks (and go back) rather than fumbling around with your phone to do so - which I think is a big plus. The silicon earbuds fit very comfortably in the ears (in fact, perhaps even more comfortably than my excellent Jaybird wireless headphones), and they are sturdy enough to take a knocking about. On top of that, the ones we were sent came in a lovely shade of red, which I thought was pretty cool. While the sound quality does not give you the richness of premium headphones such as the Bose noise cancelling headphones we reviewed here, keep in mind the price difference - the Brainwavz Audio Deltas cost around US$23, whereas the Bose will set you back over 10 times that price. One downside was that when I received a call on my phone on the Hong Kong MTR (i.e. underground subway), there was a lot of tunnel background noise when I used the earphones to answer the call. This isn't too big a deal for me, given that I prefer to answer my calls using my phone anyway.